It’s the same story for my hands every winter. They get dry, crack, bleed and sting every time I wash them or use hand cream. This has only got worse since becoming a mother! Now, a new survey has shown that dry skin on hands ages them by an average of 9 years. Some hands were even ‘perceived to be 47 years older than their true age’. Meanwhile, healthy hands were ‘perceived to be younger than their actual age 56% of the time’. This survey was carried out by Harvey Water Softeners and a study in the Journal of Investigative Dermatology recently showed the link between hard water and dry skin. Where I live, the water is very hard – you can find out the condition of yours when you scroll down this page. I am sure that it doesn’t do any of my skin problems (dry skin, psoriasis, acne) or hair any favours. When I go on holiday to Cornwall or Wales where the water is soft, I always notice a difference in only the space of a week! It was interesting to hear that I wasn’t just imagining it, and that this study suggested that how soft or hard the water is can impact the condition of your skin. I decided to get people to guess the age of my hands out of interest. They’re not as bad as they are sometimes, but still very sore. I personally look at my hands and think they look older than 26 years due to their condition, so I was intrigued by what people’s answers would be. It would seem that my hands look 4-5 years older than they actually are. I believe this is down to their dryness. This is something that worries me, as I’m sure the age gap will worsen with age if I don’t take care of them! 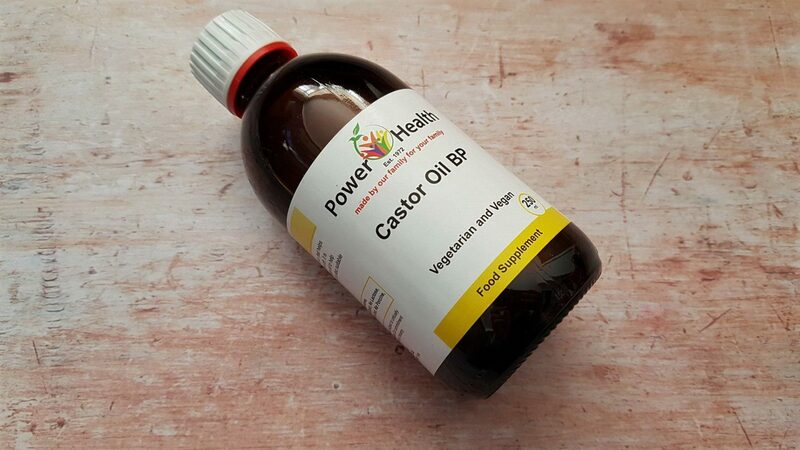 Castor Oil is known to have many health benefits and is one of the purest oils available. One things it’s most well known for is the fact that it can help to induce labour (I really don’t recommend that, by the way!) However, have you ever thought about putting it on your hands before? When massaged into the skin, it helps to detoxify and is a natural moisturiser. It’s also suitable for vegetarians and vegans! Other skin complaints it can help with are cellulite and stretch marks. This really isn’t going to break the bank either, as it’s only £5.99 for 250ml. Obviously, as it is an oil, it won’t sink in as quickly as a hand cream. You would be best off applying it straight before you get in bed and putting cotton gloves over the top. Salcura’s Bioskin range has all manner of products that can help to nourish not only your hands, but all of your skin. There’s DermaSpray available for the body, DermaSerum for the face and ZeoDerm Skin Repair Moisturiser for all over the body. They also have a moisturising cleanser for the face as well as Body Wash. Whilst my hands are the worst, I have to say that my whole body definitely suffers in the winter. This excellent range is full of nutrients and free of harsh ingredients. The DermaSpray nourishes by sinking deep into the skin where it can reach skin cells that are early in their life cycle, resulting in them being healthier when they reach the surface. DermaSerum is suitable for using on the face daily, even around the eyes. It contains a multitude of nourishing vitamins and anti oxidants including aloe vera and omega’s 3.5, 7 and 9. ZeoDerm has the ability to moisturise the skin as well as detoxify it with it’s special combination of oils and minerals. 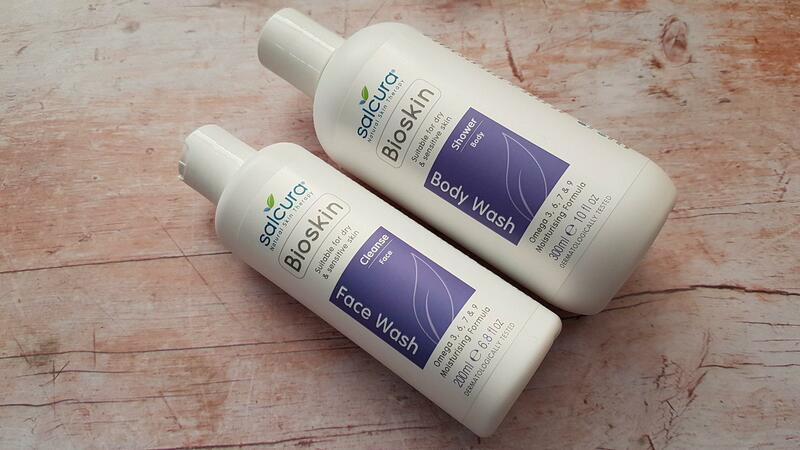 You may be detecting a theme here…the body wash and face wash are also super gentle and contain amazingly nourishing, mostly natural ingredients! 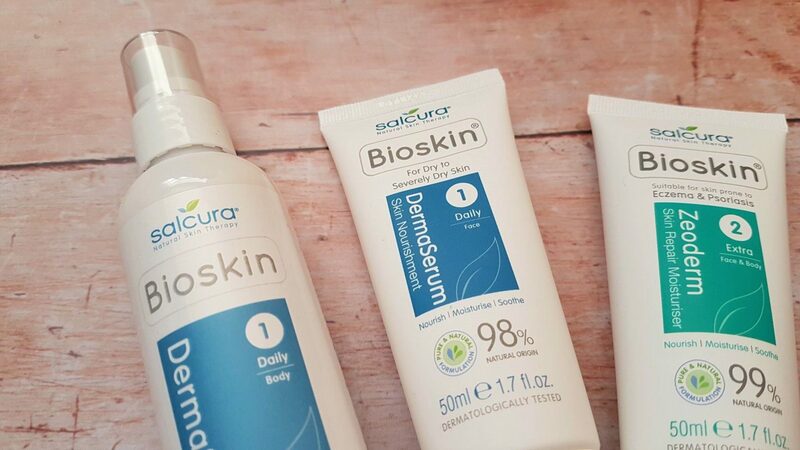 I can safely say I’m in love with Salcura Bioskin already. Whilst these products are a little more pricey, I’d say it’s worth it. They have hundreds of positive reviews on the website and I’m finding them fantastic so far. They’re all suitable for sensitive, dry skin, as well as conditions such as rosacea, dermatitis, psoriasis and eczema. As well as this, they’re free of parabens, SLSs and probably all the other nasty ingredients you can think of! I used ZeoDerm on my hands and it feels quite silky to the touch as it’s applied. It applies thickly, but that feels like a good sign that it’s really going to nourish. I could actually see a difference after only one application. 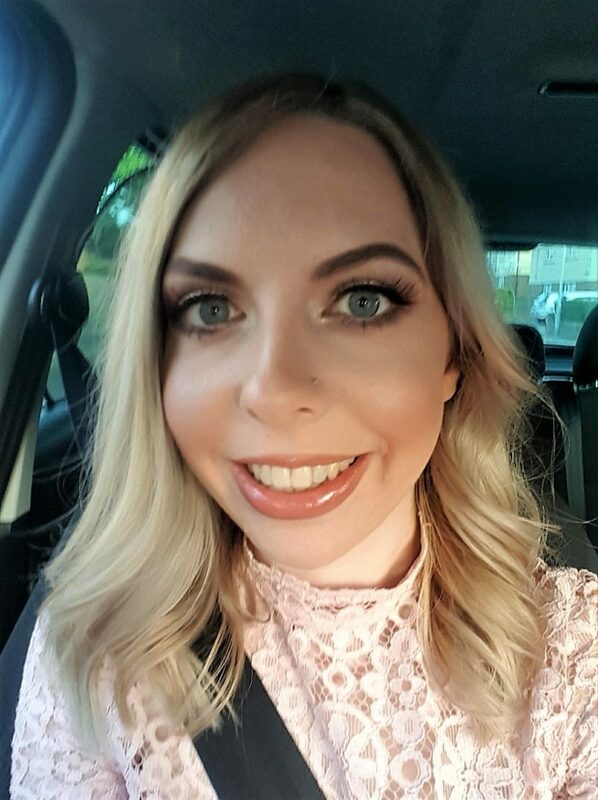 My barrier is just finding the time in my busy lifestyle to use a cream that takes a while to sink in, but I think I could get good results with this. One of the worst things about dry skin is how itchy it gets. It’s tough to resist scratching, then when you do it tears easily and bleeds. SuuBalm is specially designed to help dry, itchy and sensitive skin. It has ceramides to repair and moisturise the skin, helping to restore the skin’s natural balance. Meanwhile, menthol relieves itchiness within 5 minutes. It feels very light when you first put it on and it sinks into the skin quickly. The menthol smell is very strong, but not at all unpleasant. The menthol was very cool and soothing on my hands and relieved the itchyness, although I did suffer some horrible stinging. This was not worse than I’ve had with other lotions or hand creams though, and at least it felt like the cream was actually doing something! 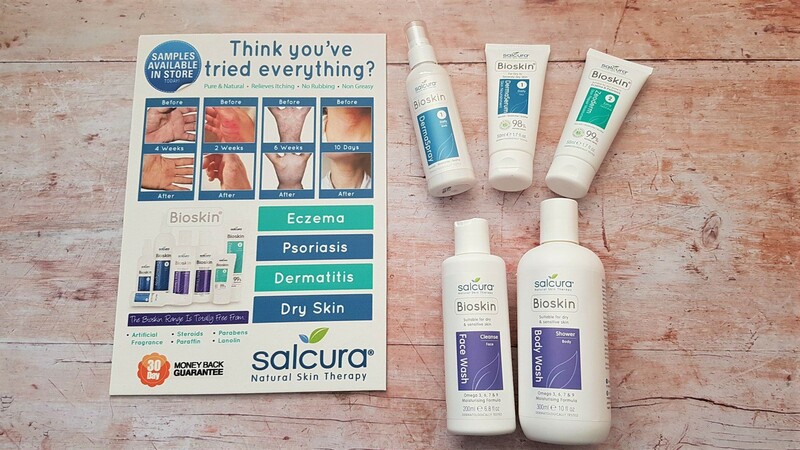 If you suffer with dry skin or conditions such as eczema or psoriasis it’s definitely worth a try. 90% of people in a survey found that it helped relieve their itchy skin within 5 minutes. The other evening, I came up with a strange itchy bump on my wrist. I wasn’t sure if I’d been bitten or what, but I couldn’t stop scratching it. I applied some of this and didn’t have any more problems with it. 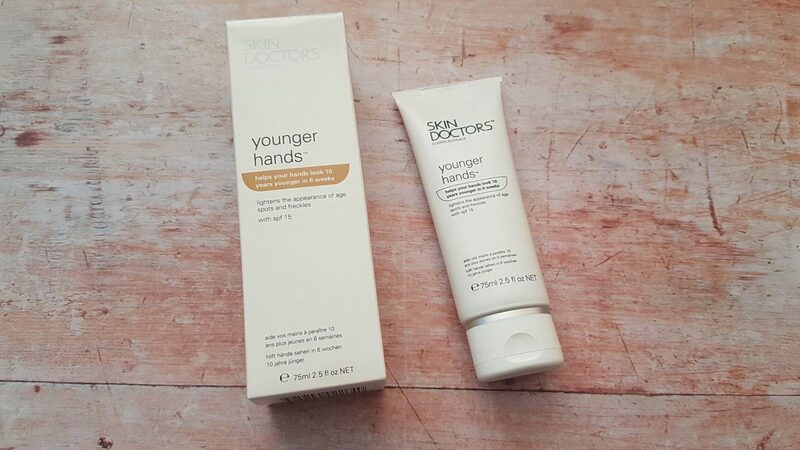 Skin Doctors Younger hands is a hand cream that claims to help your hands look 10 years younger in 6 weeks. Well, at the age of 26 I don’t expect it to make my hands look 16. However, it would be interesting to see if my hands look more like they belong to someone my age in a matter of weeks. The cream contains SPF15 and can lighten the appearance of age spots and freckles. This may be why the smell slightly reminds me of sun cream! It doesn’t apply very thickly and soaks into the skin fast. The packaging asks you to apply it morning and night as required through the day. Of course, for many of us our daily routine doesn’t help our hands. Doing the washing up and hand washing clothes can definitely take their toll. 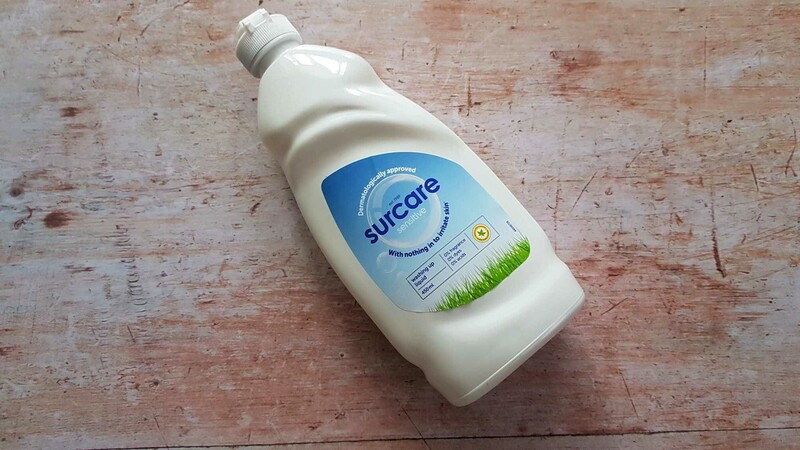 This is where Surcare comes in with their gentle products, including their washing up liquid. It has no fragrance, acids or dyes and is suitable for sensitive skin. Despite the lack of fragrance, it has a lovely, gentle smell. It’s been dermatologically tested and approved and has the British Allergy Foundation – Allergy UK Seal of Approval. With our dishwasher broken at the moment, my hands have definitely been suffering. Hopefully this will help them out. Whilst I’ve only had the chance to use it a couple of times so far, it certainly feels much gentler. Disclosure: I received samples of the aforementioned products for the purpose of this post. As always, all views and opinions are honest and my own. Loved reading this. Thanks. I’ve developed really dry, cracked hands since having my baby as I am constantly washing them. I find The Body Shop Vitamin E Body Butter really helps. I slather it on before bed as that is the longest stretch before I will have to wash them again. I also like to use their products because of their positive ethos but always keen to try new things so will give some of these a go.